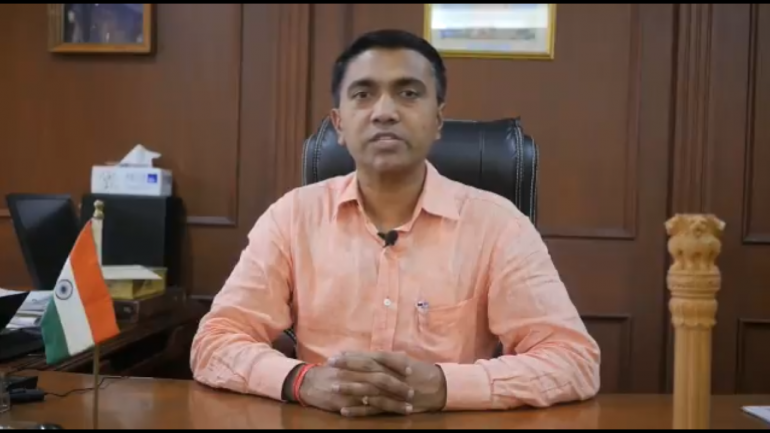 BJP MLA Pramod Sawant was sworn in as the new Chief Minister of Goa just before 2.00 am on March 19, capping a day of hectic parleys between the saffron party and its allies to put a new government in place in the state. Amit Shah in Panaji: Union Minister Nitin Gadkari is holding parleys with the stakeholders. He will announce the decision on the chief minister soon. The parties will go and meet the Governor soon. 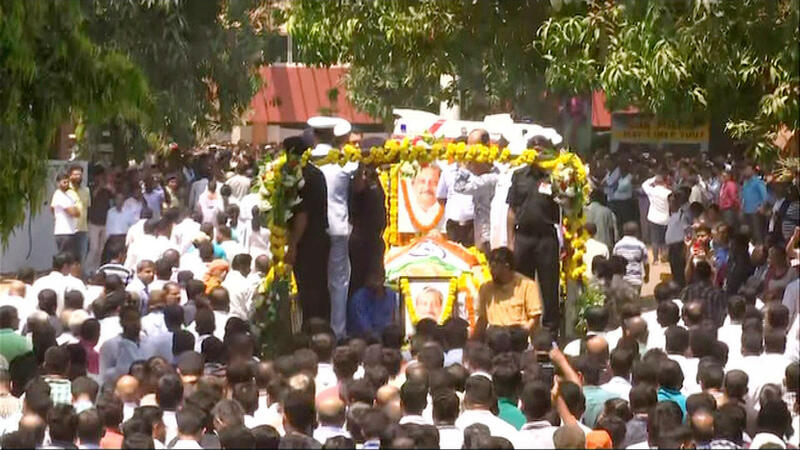 Amit Shah in Panaji: The BJP has lost a statesman today. The BJP will take a long time to fill the void which has been created by Manohar Parrikar's demise. BJP chief Amit Shah addresses the media on the appointment of the next Chief Minster of Goa. JUST IN | Pramod Sawant to be the Goa CM. Sudin Dhavalikar and Vijai Sardesai to be the Deputy Chief Ministers. Swearing-in to happen tonight. Manohar Parrikar cremated with full state honours as thousands throng Miramar beach at Panaji to bid farewell. Thousands throng the streets of Panaji for the funeral procession of Goa chief minister Manohar Parrikar. 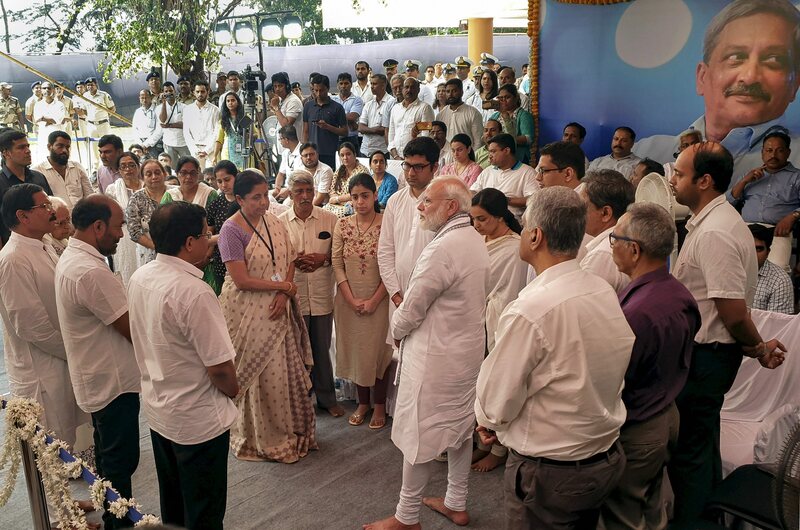 Union Minister of Commerce & Industry and Civil Aviation Suresh Prabhu attends the last rites of Goa Chief Minister Manohar Parrikar at Miramar beach in Panaji. Updates: BJP chief Amit Shah and veteran leader Nitin Gadkari at the last rites ceremony of Manohar Parrikar being held at Panaji, Goa. 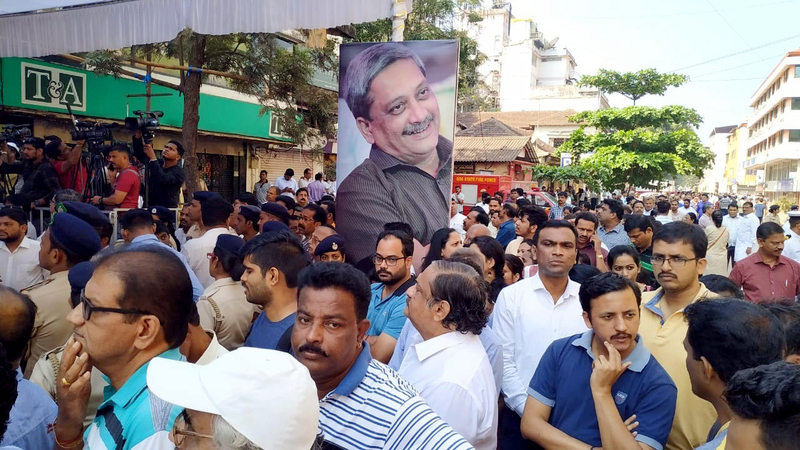 Update: Thousands of people throng streets to pay their respects during the last rites of late Goa chief minister Manohar Parrikar. 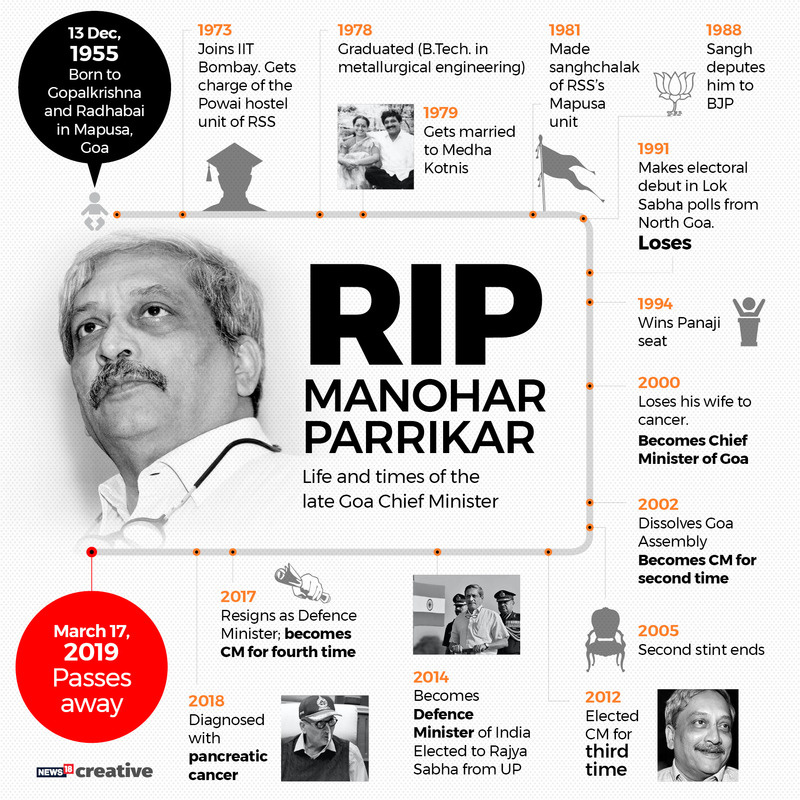 His cremation with full state honours is being held at the Miramar beach in Panaji, Goa. The mortal remains of Manohar Parrikar are now being taken to Miramar beach for the last rites. The rituals will happen next to the memorial of Goa's first chief minister Dayanand Bandodkar, who was also cremated there. 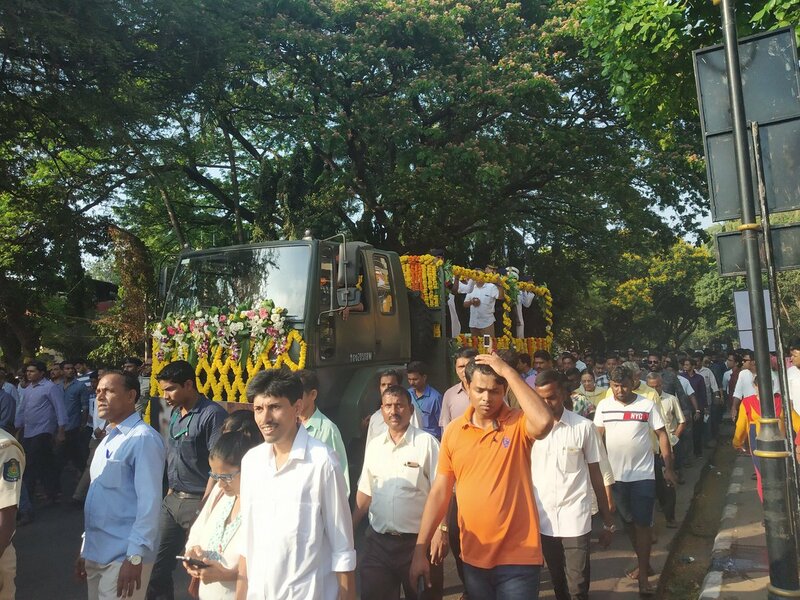 Thousands of people are walking along with the gun carriage carrying Parrikar's mortal remains. The Goa Forward Party (GFP), an alliance partner in the state's BJP-led government has said that a stalemate persisted on the selection of the next chief minister. Parrikar’s last rites will be performed at 5.00 pm at the Miramar beach in Goa, next to the memorial of Goa's first chief minister Dayanand Bandodkar, who was also cremated there. Parrikar is being accorded a state funeral with full military honours. Goa BJP President Vinay Tendulkar is now the frontrunner to become the next chief minister of Goa, according to a report by News18. Assembly Speaker Pramod Sawant is also in fray. JUST IN: Union Minister of Commerce Suresh Prabhu and Union Minister Smriti Irani pay their last respects to Manohar Parrikar. Congress President Rahul Gandhi and party leaders observed a two-minute silence at a public rally in Karnataka’s Kalaburagi, paying their last repects to Parrikar.